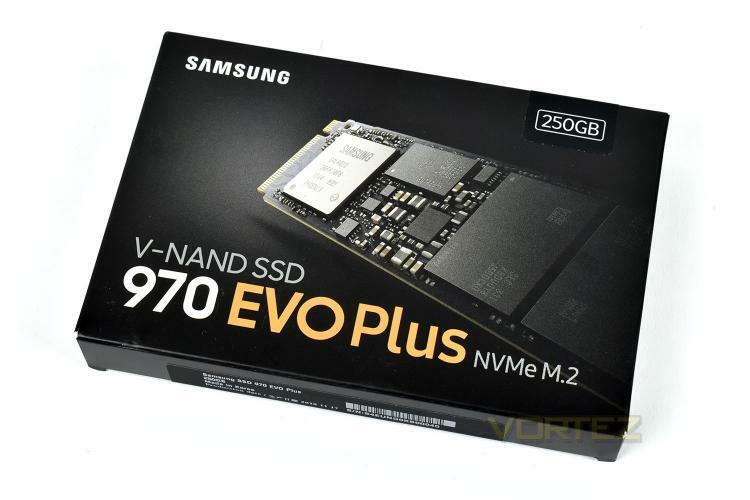 Samsung Electronics introduces the Samsung 970 EVO Plus NVMe solid-state drive in addition to its SSD portfolio. The Samsung 970 EVO Plus aims to set a new standard for high-performance data storage for gamers, enthusiasts, and professionals, making intensive workloads on workstations and PCs run faster. The Samsung 970 EVO Plus features the fifth-generation Samsung V-NAND technology and offers up to 53% more write speed over the Samsung 970 EVO along with improved power efficiency. The 970 EVO Plus delivers up to 3500MB/s sequential read speeds and up to 3300MB/s sequential write speeds. Check out our review of the Samsung 970 EVO Plus 250GB SSD here. The Samsung 970 EVO Plus comes in a compact M.2 form factor using the PCIe Gen3 x4 interface found in most modern computers. It is also backed with a 5-year limited warranty or up to 1.2TB to be written. The Samsung 970 EVO Plus is available in a wide range of capacities from 250GB to 2TB. The 250GB, 500GB, and 1TB capacities are now available worldwide, the 2TB capacity will be available this April 2019. Learn more about the Samsung 970 EVO Plus here.